The new commission will be introduced for adult volunteer officers in the Sea Cadets, Army Cadet Force, RAF Air Cadets, and the Combined Cadet Force, from April. 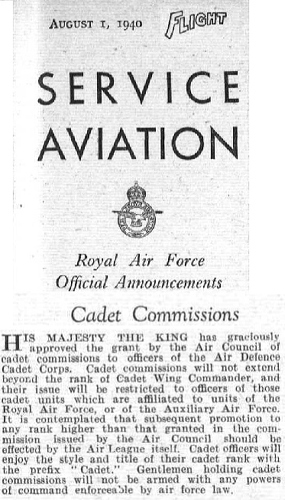 Her Majesty has approved in principle the adoption of a single bespoke commission for officers of the cadet forces of the United Kingdom – the first of its kind created for 155 years – to recognise the immense contribution made by volunteer staff as leaders of national uniformed youth organisations sponsored by the Ministry of Defence. At the time, I was very doubtful that there had never been any other types of commission created over more than 155yrs. 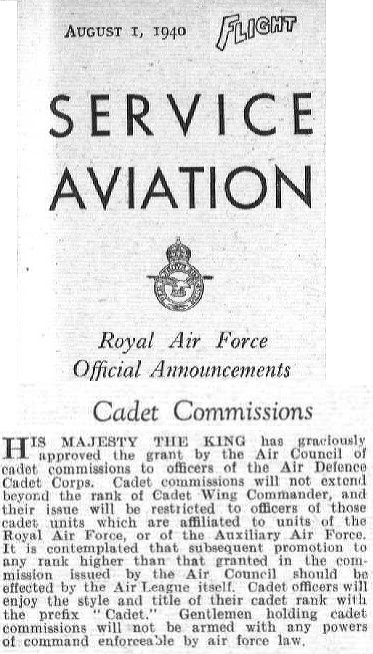 Just two examples of ‘new’ (in their day) commissions that appear to have been overlooked within that time-period include the situation for female officers serving in eg the WAAF prior to July 1941, and another was the creation of KGO/QGO commissions for the Gurkhas from 1947 onwards. But I remembered something I’d read ages ago that was much closer to home, in every sense. And directly-relevant to our collective experience. So here it is: it certainly shows that history always repeats itself. That is a very interesting article. How long before they insist we revert to using cadet before our rank? Am still waiting for my New Cadet Commission Scroll, but it won’t replace my original RAFVR Commission Scroll nailed to my living room wall!! AND still wear my RAFVR tie (got it from RAFATRAD many moons ago)!